August | 2013 | ohdenny. Foods Paradise across from Glen Waverley Railway station replaced Ho Chak earlier this year. It serves a mixture of cuisines such as Malaysian, Taiwanese and Chinese. There are a number of dishes on offer on their menu, starting off with the xiao long buns, rice & noodle dishes and combo meals. It’s an interesting variety of dishes I must say. 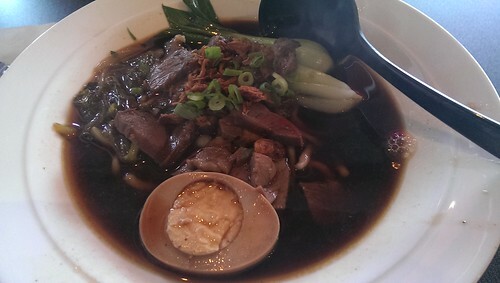 We ordered the Braised Beef Noodle Soup, pictured above. 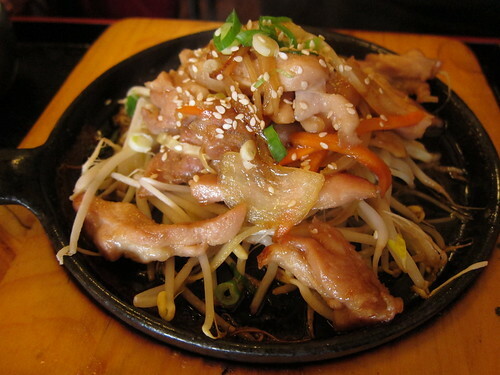 It has that soy soup base that you may find familiar to that of Soy Chicken with an essence of something herbal too. I’m not a big fan of this kind of soup or sauce for that matter but it is flavourful for what it is. To try something different, I was attracted to the Shark Fin Noodle Soup that was pictured in the menu with the green tinged noodles. This dish looks amazing, but the taste is a spectacular let down for its complete blandness and overload of mushrooms as its primary flavour. The soup lacks any real substance and the “shar fins” add that element of texture to the soup but with the soup base itself lacking in any substantial flavour it comes out as a disappointment unfortunately. 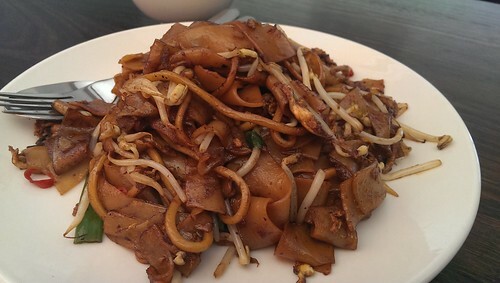 The noodles are cooked well, not too soggy and has a nice bite to it (just a tad dense/spongey) I guess that’s the plus. As mentioned previously, the mushrooms completely overwhelm everything else. 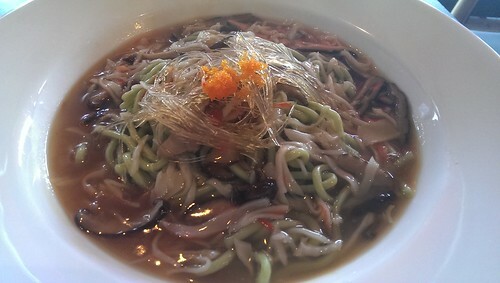 They also add strips of seafood stick pieces, it’s neither interesting nor does it complement the noodles and soup. It feels like another bland addition. 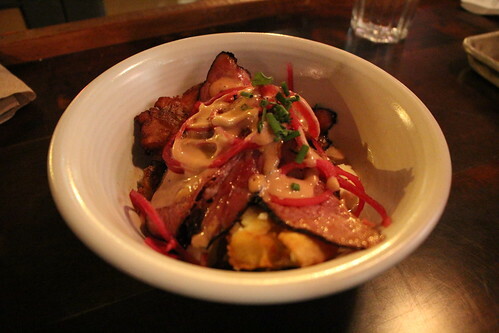 I’m sorry for the scathing review of this dish but it really wasn’t in anyway great. 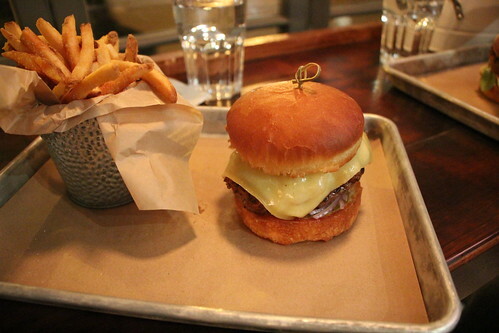 It’s exceedingly common to see new restaurants have extensive Food, Drinks and Desserts menu. While Foods Paradise offers the first one, it lacks in Drinks and Desserts which is a shame. What I haven’t mentioned here is their Beef Rendang in Deep Fried Bread is an interesting and tasty dish in itself, although I’ll warn you the bread is very oily. So take it in small portions. Foods Paradise has its moments of greatness and disappointments. I find it to more leaning more towards the mediocre side of things as a result. I don’t even know whether to say give it a try or not it’s that 50/50. If you like to take a gamble, I guess give it a go? Box Hill Korean BBQ is near the hub of Box Hill. You may notice there are a couple of Korean grocery stores and restaurants in Box Hill probably to the small but sizeable Korean community around these parts. 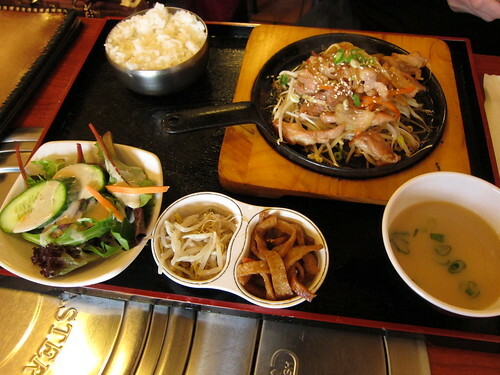 I love Korean food, because it’s slightly familiar to the South East and Japanese and yet still different and new. In the image above, I mistakenly ordered an entree which I thought was a full meal. 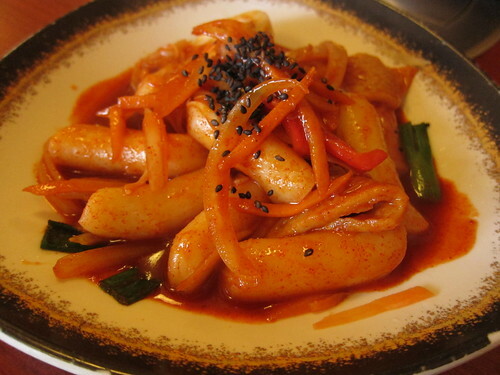 This dish is called Tteokbokki/dukboki/topokki which is basically these rice cake strips which look like noodles stir fried in a (usually) spicy sauce with carrots and onions. What I like about it is that it’s actually quite filling because it’s rice cakes and these “noodles” are dense and have a bit of chewiness to it. Here, there is minimal sauce but it’s very spicy and concentrated. Although it’s an entree it’s filling but as it is the same price as a normal regular lunch dish, I don’t think it’s worth it. You can also easily make this by yourself, all you need is to go to a Korean grocery store (there is one nearby) buy a fresh packet of the noodles and a packet of the sauce and stir fry it. Very easy. 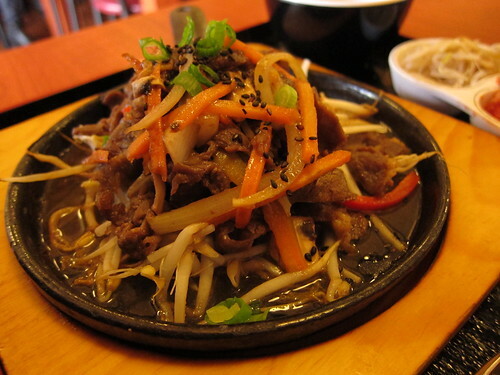 The beef stir fry with salad and rice dish is similar to a bento and comes with the standard Korean condiments like kimchi and seasoned bean sprouts. The beef is sweetly seasoned but still has a bit of saltiness to it, the carrots, onions, capsicums and bean sprouts add a much needed freshness to the dish. It’s nice, but nothing special. We were left disappointed with the meals we had after having really great food at Dae Jang Geum. The service here is also bare minimum, and took at least 15 minutes to receive our food that was a bit cold. Hmm. 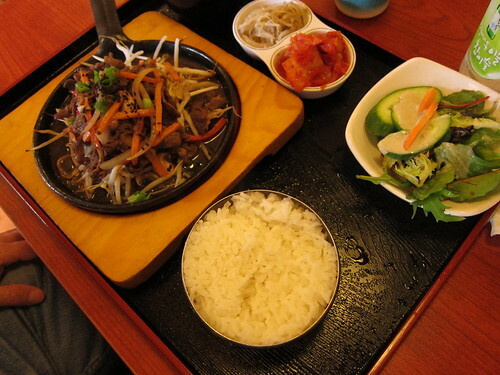 The complementary sides with the two rice dishes are also very small and unlike the Dae Jang Geum which is generous. Maybe the dinner or BBQ is better? I don’t know, but I’m not enthused to try it again. First Taste is one of my favourite restaurants in Springvale. 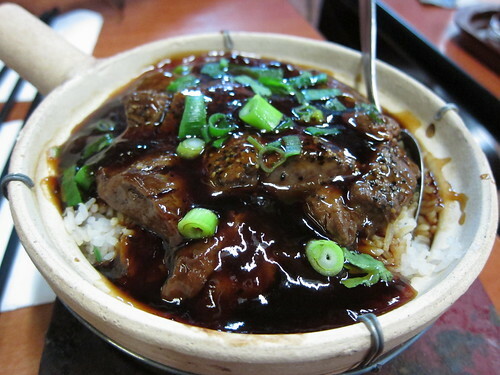 I love the claypot rice, absolutely adore it. Being able to scrape the rice from the sides is just a treat. I never knew there was a First Taste in Box Hill, and now it’s even more convenient to dine and order my favourite Black Pepper Beef Claypot Rice. What is noticed is slightly different from the Springvale eatery is that they use less or sometimes none at all of coriander and they don’t leave the claypot bowls to cook as long. What you have is less crispy rice but still ridiculously hot, and the lacking flavour from the coriander. However everything else is basically the same, the beef is nice and tender with a pleasant fragrance and taste of pepper on the tongue. First Taste also provides a generous serving of sauce on top. 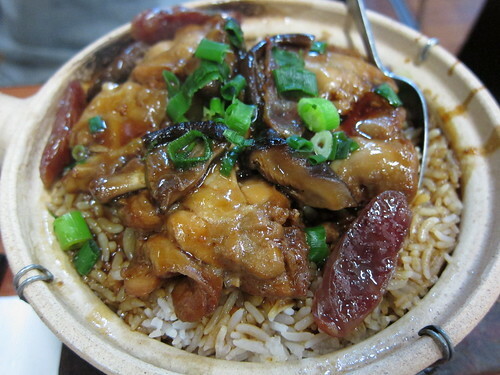 I’m not a big fan of First Taste’s other claypot dishes though. The chicken, Chinese sausage and mushroom with soy sauce isn’t too my liking. It’s one of those slightly herbal tinged dishes, and I’m not fond of Chinese sausage with soy and of course the big mushrooms. That’s not to say it’s not cooked well, I definitely say for those that like these kind of dishes would find this perfectly satisfying. Again, they don’t leave the claypots to cook long enough so the sides and bottom of the claypot bowl aren’t as crispy. 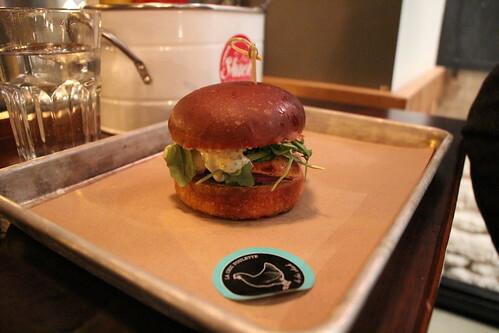 First Taste Box Hill is much like it’s brother (or sister) in Springvale. Slightly varied but familiarity is key here and you can’t find better Claypot rice anywhere else. Yes even Claypot King. Malaysian Kitchen on Doncaster Road, Doncaster is another Malaysian restaurant in Victoria. The place is quite spacious having two floors and seems to be quite popular among the locals. During lunch peak time, it filled up quickly. At Malaysian Kitchen, they serve the Malaysian favourites as well as a few obscure dishes. Ever since having Pan Mee at the now closed Claypot King in Glen Waverley, I’ve always tried to find a place that can match or better it. 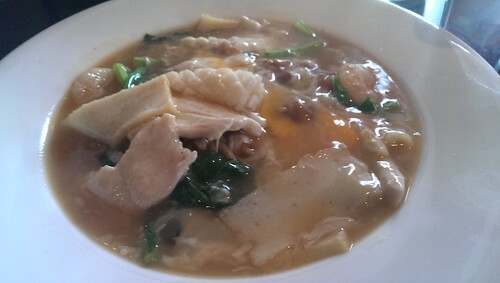 Chef Lagenda‘s version is decent, but they don’t make their own noodles which Claypot King do. The other Claypot King locations don’t offer Pan Mee either so it is a real disappointment. 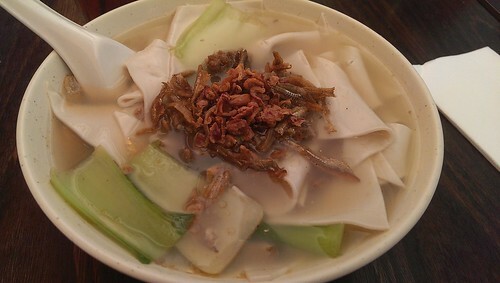 Malaysian Kitchen’s Pan Mee with the addition of the crunchy anchovies and fried onion creates a wonderfully flavourful soup. The noodles appear to be made with a Pasta maker, the thin long noodles make it a challenge to eat. If it was cut up into smaller pieces, I think it would be much better. However, the noodles itself have just enough bite to them which is all you want. 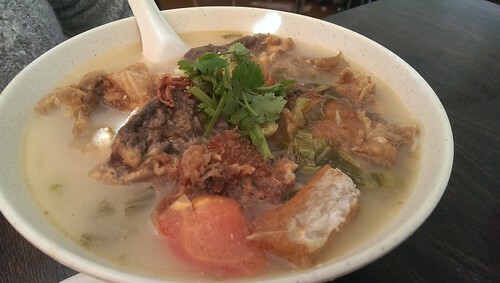 In addition, their Pan Mee includes mince meat, mushrooms and bok choy. Overall, it’s a decent Pan Mee packed full of noodles in a small bowl but I still prefer Chef Lagenda’s Pan Mee. Their Char Kway Teoh is an interesting thing, as you can see they add strands of Hokkien Mee into this dish. I can’t say I enjoyed this, it really doesn’t taste much like Char Kway Teoh and doesn’t have that wok flavour. You’ll find a better (but not the best) Char Kway Teoh at Straits Cafe Doncaster. The use of fatter noodles adds a heaviness to the dish and really the sauce is too subtle to add anything. Not great. Malaysian Kitchen’s Fish Head Curry is quite pleasant. The sour soup with the noodles and fish just works. The soup isn’t too sour but that slightly tangy taste that lingers on your tongue is beautiful. The deep fried fish either needs to be taken out quickly or eaten quickly because the crispy fish will get soft and less appetising. I’m not a fan of deep fried fish like this, and here, its no exception and with the plentiful bones to boot it isn’t an enjoyable eating experience to put it lightly. Apart from that, I think it’s a winner, the soup provides that feeling like you’re having a home cooked meal with your family. Familiar and cosy. Given the food we ate, I’m not quite sure why it’s so popular. Maybe it’s the food we chose but I couldn’t see anything all that special about the Malaysian food here. Maybe it’s because Doncaster or around these parts really doesn’t have great Malaysian food like South Eastern suburbs and even arguably the CBD has. 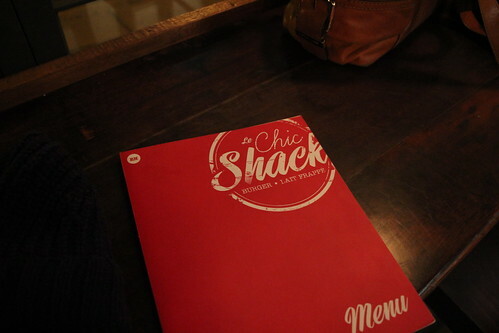 I find it overall decent but I wouldn’t go out of my way to eat here again.